The E-2 visa is for individual investors or investing companies from countries which have a treaty with the U.S.
What is the E2 visa? The E2 visa is a Treaty Trader and Investor Visa for the US. It is a US non-immigrant visa category, and it is issued for individual investors or investing companies from countries which have a treaty with the U.S. These individual investors or investing companies go to the U.S with an E2 visa to further invest in the U.S economy. The investment can be in any industry or business such as tourism, IT, marketing, etc. The advantages of an E2 visa are many. First, there is no quota for it, so anyone who qualifies can be granted this visa. Additionally, it is a much better option of entering the U.S than with the EB5 investor Green Card, which requires people to invest more than $500,000 in the U.S and generate employment for at least 10 people. For the E2 visa it is recommended that the investment should be of an amount between $100,000 to $200,000 in an existing business or in a new business, although smaller investment qualify sometimes. In addition, the investment should be expected to increase employment, at least for 3 to 4 people. What are the E2 Treaty Countries? 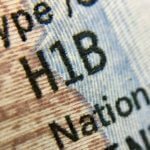 What are the Eligibility Criteria for the E2 visa? If you are an individual investor, you must be the national of a country which has an investment treaty with the U.S. If the applicant is a company, it must be owned at least 50% by a treaty investment country. If a company is sending an employee with an E2 visa, the employee must be a national of a treaty investment country, as well as be in a supervisory, managerial, executive, or specialized knowledge position (essential employee). The investor (individual or company) must have the intent to invest a substantial amount of capital in an existing or new bona fide business. A bona fide company is a real company which produces products or services and is profitable. The investor (individual or company) must ensure that the business generates more profit than to just make a living. New businesses are exempt from the requirement of marginal profit, but should meet this requirement within five years. The investor (individual or company) must have the goal to develop the business further through that investment. The investor (individual or company) must place the funds in a bank account or an agent until their visa is approved. The investor must have the intention of returning to their home country once their work is completed. By meeting these criteria, you qualify and are eligible to apply for the E2 visa. It does not mean that you will be granted the visa automatically. You must apply for it, and if approved, your entry into the U.S will depend on the immigration officials at the port of entry. Individual investors who want to open their own business should first obtain a B-1 visa or a business visa to start it and then apply for the E2 visa. Additionally, later on, they can also bring employees on an E2 visa as long as they fulfill the requirements. However, if you do not meet these requirements and still apply for the E2 visa, you run the risk of getting rejected. Form DS-156E, Nonimmigrant Treaty Trader/Treaty Investor Application – If you are an Executive/Manager/Essential employee. Contracts with employees and customers, etc. How to apply for the E2 visa? Those who are in a legal status in the U.S can change their status to get an E2 visa. This can be done by filing Form I-129, Petition for a Nonimmigrant Worker to the U.S Citizenship and Immigration Services (USCIS). The application must contain proof of your nationality, investment, and intent to return. If you are an individual investor, you must file the petition yourself. If you are part of a company, then your employer must file Form I-129 for you. Once processed, USCIS will either deny or approve your request. If approved, you will get a Form I-797, Approval Notice from them. Apply only through filing a Form DS-160, Nonimmigrant Visa Application. This form will ask you to provide your information and your purpose for going to the U.S. After you fill it, you will be given a confirmation page and code which you need to have with you for your interview. Pay the application fee. For the E2 visa, the application fee is $205. You might also be required to pay additional fees such as visa issuance fees or reciprocity fees based on your home country. After you pay all your fees, save the receipts, as you will need them later. Schedule your visa interview. All applicants between 13 and 80 years old must conduct a visa interview at a U.S Embassy for their visa application to be complete. It is recommended that you schedule your interview as soon as possible, so you do not have to wait too long due to a high workload of the U.S Embassy. When you schedule the interview, you will get a visa appointment letter, which you need to bring with you to the Embassy. Prepare your document file. The document file must be completed on the day of the interview. Attend your scheduled interview.You will be interviewed by a U.S Embassy official regarding your purpose and intentions for going to the U.S. The interviewer will also inquire on your intentions to return to your home country, which you must prove. 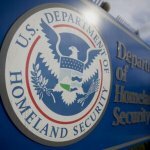 If it is suspected that you want to remain in the U.S permanently, your application might be rejected. What is the Processing Time of the E2 Visa? After you submit the application and conduct the interview, the U.S Embassy will process your request. If you are a company applying for the E2 visa registration, the processing time is 4 to 6 weeks, while if you are an employee, if takes around 2 weeks. The processing time varies, however, with the work load of the U.S Embassy, so if you do not receive an answer within those time frames, it does not mean that your visa application was denied. 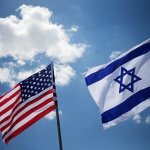 How Long is the E2 Visa Valid? The initial period of time that the E2 visa is given for is 2 years. During those two years, the visa holder can continue developing the company in which they have invested. When that period of validity is close to expiring, the E2 visa holders can extend it. In addition to extensions, E2 visa holders can also change their status if they become eligible for another type of visa. For example, if a person finds an employer willing to sponsor them, they can apply for the H1B visa. Can I Apply for a Green Card on an E2 Visa? Since one of the requirements of the E2 visa is to prove intent to return home, it is difficult to go from an E2 visa to a Green Card. There are however ways through which you can do that. One way is to apply for the EB5 Investor Green Card, which means that you will have to increase your investment substantially and create more employment opportunities. Another is to change status to a dual intent visa. A dual intent visa is a visa which allows you to apply for a Green Card without putting your current visa status at risk. So if you were to change status to an H-1B visa, you would be allowed to apply for the Green Card. In addition, another way to get permanent residence is to have family in the U.S and apply to join them. All these ways of becoming a permanent resident require years to process and get approved, so getting the Green Card will be challenging. 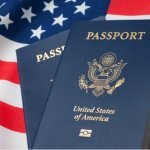 Can my Dependents Join me With an E2 Visa? The E2 visa allows dependents to join the primary visa holder. Dependents are the spouse and unmarried children under 21 years old. They can apply at the same time as the primary visa holder for the E2 visa or later on. With an E2 visa, dependents are allowed to study and the spouse is allowed to work. To begin working, the spouse must obtain an Employment Authorization Document (EAD) by filing Form I-765, Employment Authorization. The period of validity for the E2 dependents visa is the same as the primary visa holder. However, if the dependents want to extend the validity of the visa, they must apply for the extension by filing Form I-539, Application to Extend or Change Status. Dependents do not get automatic renewals if they leave the U.S and return. Additionally, E2 visa dependents can change status if the primary visa holder changes status too. Also, if the primary visa holder gets a Green Card, the dependents qualify to get it too.